Grease a 12 cup muffin tin with coconut oil spray, or ghee. Peel, wash and grate the sweet potato in a small bowl. Add the garlic powder and cheese. Mix well. Scoop approximately 1/4 cup of the mixture into 12 muffin tins. 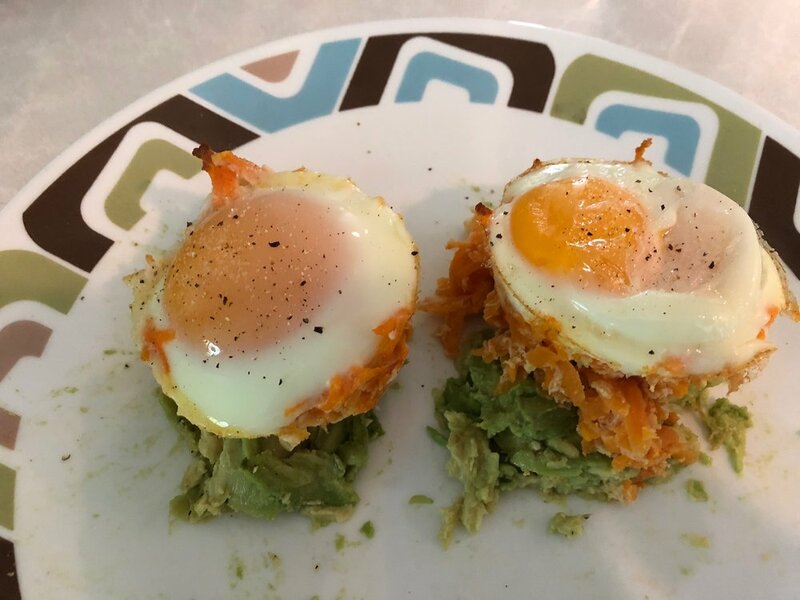 Crack one Omega-3 egg on top of each muffin tin cup. Bake for 13 minutes for over easy eggs, or longer for your desired yolk consistency. Salt and pepper to tase when finished and serve with mashed up avocado.